Categories: Botany/Nature, Digital Publication, First Nations. At least 350 species of native plants were recognized and used by the Nlaka’pamux people, most of them as foods, medicines and materials. Edible fruits and roots, mushrooms, greens and other plant products were preserved in quantity for year-round utilization, and were widely traded. Woods, barks, roots and fibres were vital for technology, providing materials for shelter, utensils, clothing, and other essential features of traditional life. Medicinal plants comprised the bulk of the species used, and plant medicines varied greatly in their preparation and application. 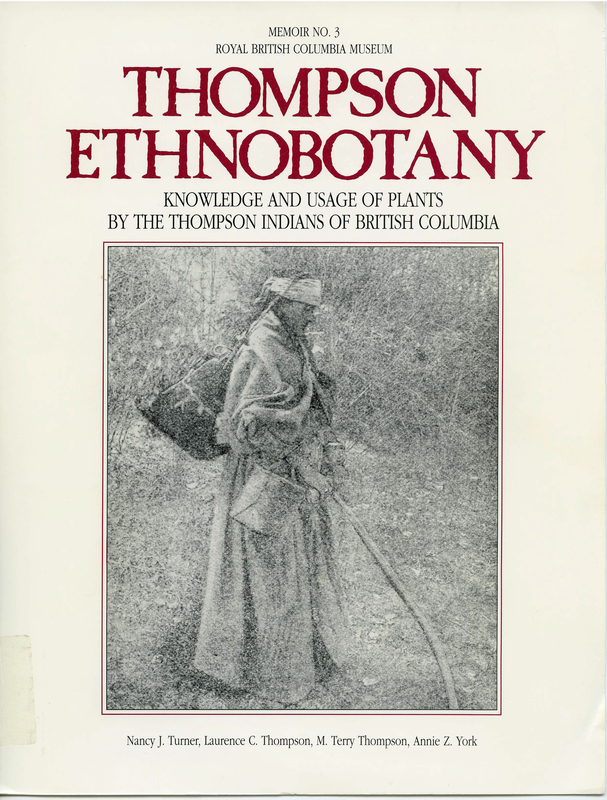 In this book, renowned ethnobotanist Nancy J. Turner and her co-authors provide a thorough consideration of the uses and applications of plant life in Nlaka’pamux (Thompson) territory, including methods of harvest and preparation, cultural and spiritual significance, and an inventory of plants with their English, Latin and Nlaka’pamuctsin names.